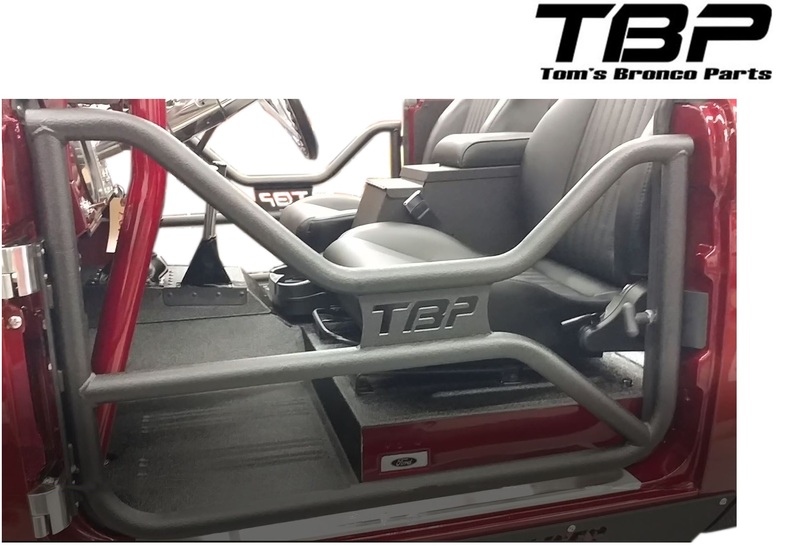 The TBP Terminator Trail Doors are made from 1 1/2" .120 tubing and come fully welded. 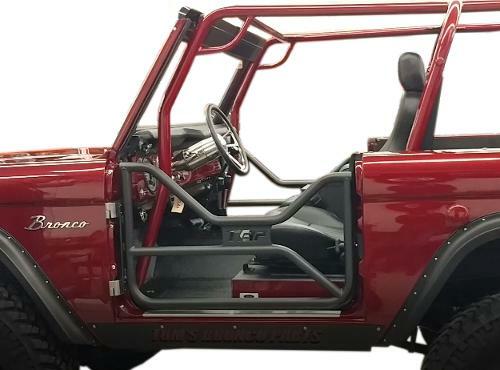 Doors are designed to mount using the quick release door hinges provided in the kit and latch to the hardware provided, that mounts to the same location as your rear striker post. The doors use a T-syle spring handle and pin so you can swing the door shut and will latch shut. The doors come bare steel and will require paint or Powder coat (please test fit prior to paint or coat).